Before you take that shiny new ATV out for a spin, make sure you’ve equipped it with the best power supply possible: a lithium-ion battery. If you think the battery you put in your ATV doesn’t matter, think again. Phosphorous-based lithium-ion batteries (LiFePO4 batteries) are safer and last longer than traditional, lead acid batteries, making them the smart, cost-effective choice. A LiFePO4 ATV battery is, simply put, the safest option available. It’s non-explosive and fire retardant. Although overcharges and short circuits are rare, in the event they do happen, you want a battery with safe, stable chemistry. Although a lithium-ion ATV battery comes with a higher asking price than lead acid, its life span is up to ten times as long, on average, representing a far better investment (and, in nearly all cases, lower lifetime cost). Additionally, a LiFePO4 battery requires no maintenance, so you don’t have to worry about upkeep. Most LiFePO4 batteries are capable of charging to full capacity in a matter of hours, over one session. That means you’ll never have to wait to get back in the driver’s seat. A lead acid battery, conversely, requires multiple charging sessions to achieve full capacity. It’s also worth noting that lead acid batteries can only discharge to 80% of full capacity without suffering structural damage, meaning you’ll spend less time driving and more time charging. Lithium-ion batteriesare able to deep cycle, allowing them to approach depletion without any performance loss. A LiFePO4 ATV battery is non-toxic and contains no rare metals. At the end of its life, it’s easy to recycle and poses less environmental contamination risk. Additionally, because the battery’s life span is so formidable, far fewer units are improperly disposed of every year. Lithium-ion batteries are far lighter and smaller in size than lead acid batteries. If you’re the type who likes ATVs fast, light and capable of getting serious air, think about installing the most lightweight battery possible. If you’re thinking about picking up a custom battery for your ATV, make sure you work with a trusted advisor. 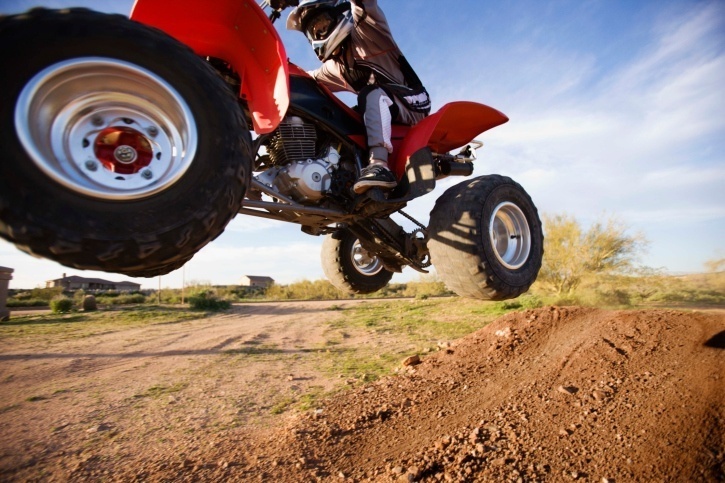 Your ATV’s year, make and model all play an important role in choosing the right battery for your needs. Scrap the guesswork and find a provider with the experience and service commitment you need to take your dollar further.